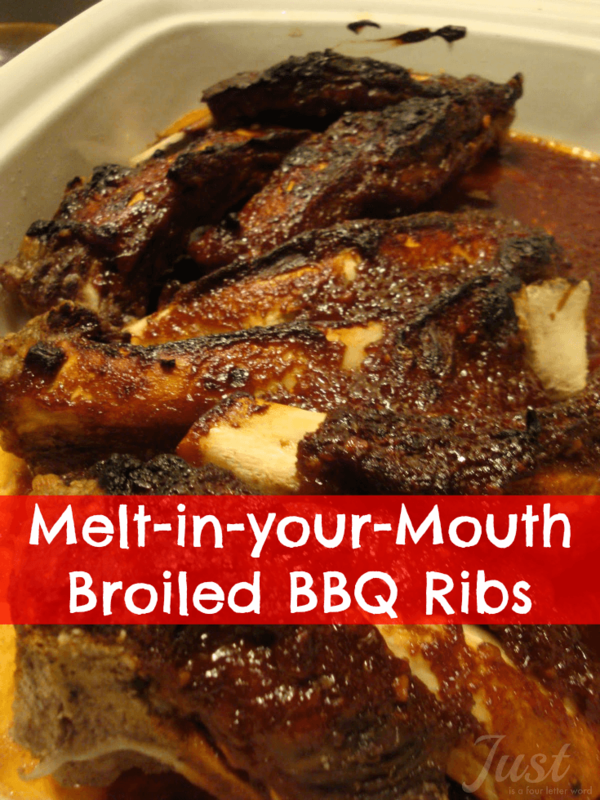 I discovered a quick way to make melt-in-your mouth broiled BBQ ribs without cooking all day. I know some of the purists may say it’s not the same but I’m telling you, they were delicious! I seem to have a hard time keeping up. Something about Mondays, even as a Stay at Home Mom, just takes it out of a person. At any rate, last week I made a lot of our normal everyday meals, but on Saturday I decided to try my hand at broiled BBQ ribs! There was a sale on Angus Beef at HT so I grabbed them. They would have been delicious if they had more meat and less fat. Seriously it was ALL fat. The little bit of meat we got was soooo good though! I found a couple recipes online for cooking ribs and homemade BBQ sauce. I decided to make the ribs later in the afternoon so I wanted to see if there was a way to do it without having them marinate all day. Turns out, if you boil the ribs for about an hour and a half before putting them in the oven, they are perfect! I will definitely try this again with better meat! 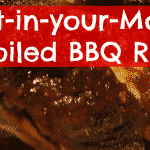 Have you ever made broiled BBQ ribs this way? The boiling method was new to me, but I’m glad I tried it! Want more recipes? We’re all about quick and easy meals around here. Try putting the ribs in a slow cooker on low for about 8 hours. I do that with pork ribs, after doing a dry rub of salt, pepper, onion powder, and Lawrey's seasoning salt. About an hour before eating I cover them with Bullseye barbeque sauce. Yum! Of course, I live in Georgia where we don't eat beef barbeque and love of BBQ is something between an obsession and a religion!